I will describe below my custom alexa skill. Recently, I have started developing alexa skills. Natural user interfaces, like those based on speech, represent the next major disruption in computing. 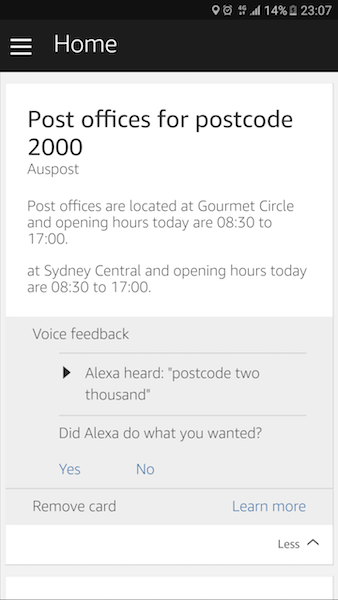 I decided to build a skill that allows consumers of an alexa enabled device to find post offices by post code in Australia. Use the service simulator to test it out here or use an amazon echo or dot. 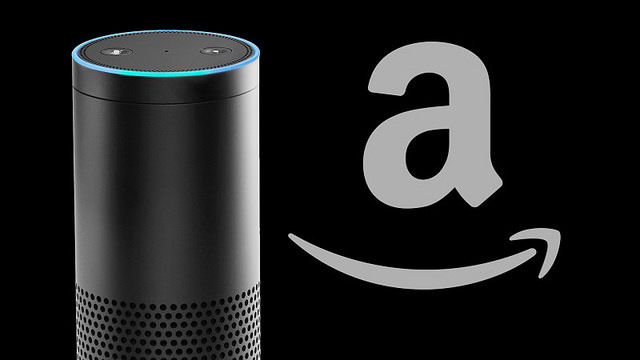 Alexa will guide you in interacting with the skill. Follow the dialog flow to get post offices in your vicinity and the opening hours for today. Here is a sneak preview!! This skill is not currently on the marketplace.